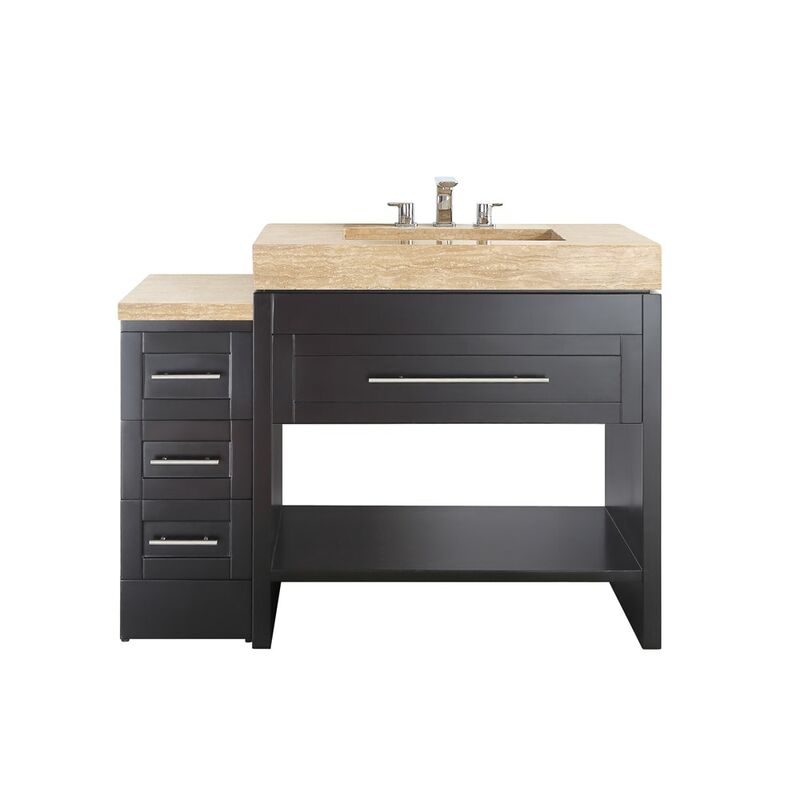 Add sumptuous simplicity to a guest or master bath with the Bolzana Vanity Collection. Available in a rich Espresso or stately Grey finish, these pieces complement your space with clean lines and bold angles. Satin nickel-finish hardware and your choice of Carrara marble or travertine stone top add just the right amount of extravagance to this ultra-contemporary ensemble.